Luxury vehicles were designed to impress, and the Jaguar XF is no exception. With a stunning cabin that uses the finest materials and offers the best ambient lighting and infotainment system in all of New Jersey, the interior of this new model is one you’ll want to write home about. The Jaguar XF was designed to impress, which means that it offers some of the best design details a vehicle has to offer. For starters, you’ll enjoy the available leather and veneers that are soft to the touch. In addition to the feeling you get, the available carbon fiber and wood veneer finish options provide you with luxury detail throughout the cabin. With such a large selection of finishes to choose from, the Jaguar XF lets every Colts Neck driver choose the right combination that suits your style and taste. For instance, you can choose your own color combinations as well as customize your illuminated tread plate with your own words. This is not something you’ll find in many luxury vehicles, which allows the Jaguar XF to stand out as one of the finest options on the road. One of the finest features of the Jaguar XF is the way it’s able to illuminate the cabin in a unique and satisfying way. Rumson drivers will appreciate the way this new model offers multiple color options to give ambient lighting that suits your style. In fact, you’ll have about 10 different colors to choose from, giving you plenty of style options that allow you to showcase your mood. 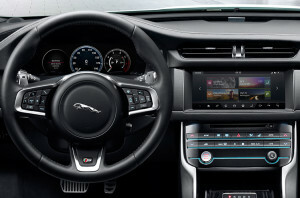 Aside from its attractive style, the Jaguar XF offers the InControl® system, which is a suite of advanced technology that allows you to receive the information, entertainment, and connectivity you need while driving through Holmdel. The InControl Touch™ infotainment system provides all the entertainment and information you need on the 8-inch digital touchscreen. The InControl Touch Pro™ ups the screen to 10.2 inches and also offers navigation. Finally, the InControl Remote and Protect™ allows you to stay connected to your vehicle through your smartphone. This way, you can remotely lock/unlock and start/stop your vehicle. Plus, you’ll have access to an emergency call feature, which allows you to connect with first responders in the event of a collision or critical situation. The Jaguar XF offers a beautiful and customizable cabin that gives Colts Neck drivers more appreciation for hitting the road. 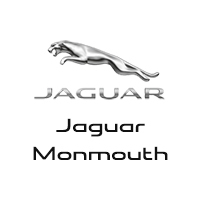 When you want to explore the cabin of the Jaguar XF, be sure to visit Jaguar Monmouth at 807 NJ-35 in Ocean. We have an extensive selection of this new model for you to choose from, so come on by today. If you prefer, you can also contact us online or give us a call at (877) 672-8680 to schedule a test drive or to apply for financing.